Originally printed July 18, 2012, in the Iowa City Press-Citizen. I didn't know Ann Bauer by name during her time at the University of Iowa last decade, but I did see her often enough in the halls of the English Philosophy Building that I could recognize the photo on her new novel, "The Forever Marriage." Back then I was teaching Interpretation of Literature, and one of my first assignments each semester was to ask students to read Kate Chopin's 1,000-word "The Story of an Hour" three times and to write up a short response after each time through. It was a helpful assignment because so many of the freshmen were inattentive readers who trusted too much in what they thought a story should be about and paid too little attention to the actual words on the page. When those students read Chopin's 1894 story the first time, nearly all grasped the fact that Mrs. Mallard was having a powerful reaction to the news that her husband had been killed in a "railroad disaster." Many of the students, however, assumed Mrs. Mallard was a frail, elderly woman and then further assumed the rest of the story was her lovingly remembering her long marriage. So when Brently Mallard appears very much alive at the end of the story — and when Mrs. Mallard has a heart attack at the sight of him — many of those first-time readers take the story's final sentence at face value: "When the doctors came they said she had died of heart disease — of the joy that kills." By the second or third reading, students figure out that Mrs. Mallard is a young wife who reacts to the news of her husband's death, not with mournful sighs for what might have been, but with a strange, unexpected sense of relief for the unknown possibilities that come with her being "free! Body and soul free!" And most students come to realize that Mrs. Mallard's heart attack at seeing Mr. Mallard is caused, not by joy, but by the pain of having to give up her short-lived freedom. In the classroom conversations that followed this assignment, some of the students said they detested Mrs. Mallard for her reaction; others became much more sympathetic toward the character. But it was only after the students learned to recognize their own faulty assumptions that a worthwhile discussion of the story could begin. I don't know if Bauer had "The Story of an Hour" in mind when writing "The Forever Marriage," but she seems to be positioning her 300-plus-page novel as the exact opposite of Chopin's very short story. When Jobe Garrett dies in the novel's first sentence, his wife Carmen is worried that she won't be mournful enough. After all, Jobe has been ill with with lymphoma for years, and Carmen is tired of being the dutiful caregiver. Plus, Carmen never has felt true passion for her husband — she married him out of a sense of gratitude and stayed with him for 21 years out of a sense of obligation. Not to mention that Carmen already is getting her passions met through a biweekly fling with a libidinous librarian. Bauer's Carmen, in fact, seems to think she has become the regret-filled, middle-aged woman that Chopin's Mrs. Mallard was scared to death of becoming. Carmen even wishes she could go back to their honeymoon cruise — when her distracted young husband started taking a step backwards that would have toppled him overboard. She wonders whether, if she had not reached out and steadied him, maybe she would have been free to marry someone who excites her — at least shack up with someone who wouldn't saddle her with a special-needs child as well. Bauer's Carmen, in fact, easily could have come across as unsympathetically selfish as many of my students found Chopin's Mrs. Mallard to be. But Bauer uses her 300-plus pages well. Her Carmen is unexpectedly poignant throughout the amoral descriptions of her own plight — whether it's her realizing that she misses her husband far more than she ever thought she could or whether it's her coming to terms with the cosmic joke/justice of her own breast cancer diagnosis. 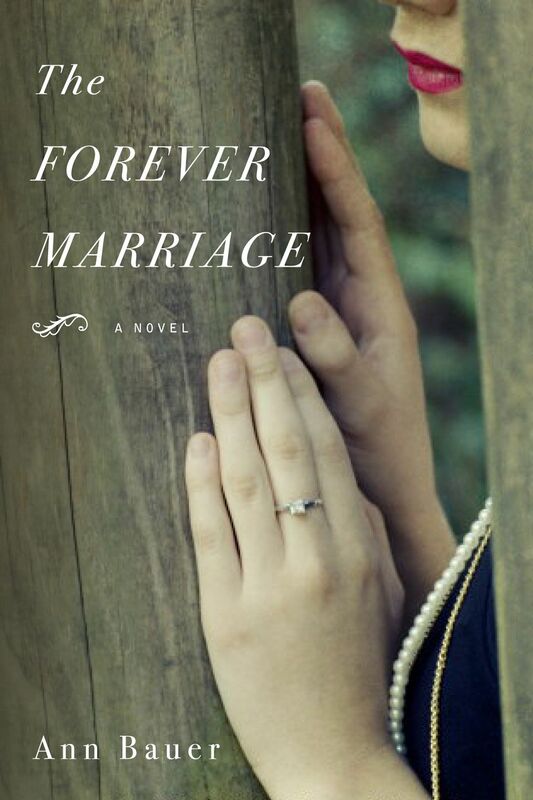 My Interpretation of Literature students might not have known what to make of the emotional range in Bauer's novel, but reading "The Forever Marriage" would have taught them much about good writing. Opinion editor Jeff Charis-Carlson can be contacted at jcharisc@press-citizen.com. Originally printed July 9, 2012, in the Iowa City Press-Citizen. After the University of Missouri's recent decision to phase out its university press, there has been a lot of discussion nationally about the future of university presses in today's rapidly evolving marketplace. To see how the decision in Missouri might affect things closer to home, I called Jim McCoy, the director of the University of Iowa Press. The following is an edited account of our conversation. JCC: So, what's to keep what's happening at the University of Missouri Press from happening at UI Press? JM: The first thing is that we have an incredibly supportive administration who understands that we fill a necessary function. ... We bridge the gap between research and teaching. We are able to publish the research done at universities, and then the people who want to can turn around and use it for course material. So, we're an important part of the scholarly eco-system. And not only does our administration understand that, but we also live in a community that is heavily invested in "the book" and in the humanities. That's of critical importance to our situation. JCC: Missouri officials said they weren't getting enough of a return on their investment in the university press. Where does the bulk of the funding for UI Press come from? JM: I don't know what Missouri's financial situation is, but we have been very good stewards with our money. We're given a healthy allocation from the university to cover our payroll and benefits, but we generate the rest through sales and commissions. And we work hard to stay within that budget with what we can generate. JCC: Where does UI Press rank on the university press hierarchy? JM: In terms of size of staff, we are very small. But we can claim that with our 7½-member staff we are able to print an average of 45 books each year. That's the most per capita for any press. Most presses our size produce about half that amount. And our productivity shows in terms of revenue. We also get a lot of citations. We are well reviewed in scholarly journals. And we get a good number of course adoptions. So we do well by all standard measures for seeing how our books are gaining hold. It's also important to remember that there are no other university presses in the state. There are some other publishers — such as Steve Semken of Ice Cube Press — that print books of regional interest and history. But we fill that general interest need as well. JCC: What new roles/niches do you see university presses filling in the next five years? JM: We've really done a good job aligning ourselves with the overall mission of the university. We're starting an editorial program with the UI Obermann Center for Advanced Studies. ... We've contracted with Jan Weissmiller of Prairie Lights for a new publishing venture that they are undertaking. And we're pulling on the expertise of Special Collections at University Libraries, which has large holdings of fan material, as we look into starting a series on fan studies — a largely unexplored field of pop-cultural studies. So, we're working to align ourselves with what the university is doing. And we contribute to the state at large through our regional list. JCC: And what older roles/niches do you see university presses moving out of during that same time? JM: Editorially, it usually takes about two or three years to develop a new idea. I've only been here 18 months, so we really haven't moved out of any of the more traditional areas yet. And that's one of the challenges facing university presses in general. We can't move out of those older niches. Printed books make up to 95 percent of our revenue. They are our primary mission still, and they will be for a long period of time. So we have to keep them sustainable. JCC: How do you find the right ratio between regional trade books and scholarly books in your catalog? JM: There is a lot of talk about scholarly books supposedly not being able to pay for themselves. Our print runs are very small, and we're able to figure out how to do that in a profitable way. And with digital printing, we are no longer prisoners of the economy of scale. ... We've cut our production costs by a third in the past 18 months. In the end, we're looking at a 50-50 mix of trade and scholarly books. And that blend seems to work pretty well for us. JCC: What role has UI Press played in helping the Iowa City area develop as a City of Literature? JM: Along with University Libraries, UI Press has been one of the early planners for the Iowa City Book Festival. They approached us first, but we worked together to get the ball running. We also let the world know that Iowa is a center not only for writing but also for book publishing. Our books are sold and taught internationally, and our overseas markets are expanding. That amount of awareness and good will is hard to come by. Opinion editor Jeff Charis-Carlson can be contacted a jcharisc@press-citizen.com. Originally printed June 26, 2012, in the Iowa City Press-Citizen. About six years ago, I started to notice a flier whenever I went into Eble Music in Iowa City. Featuring the photo of middle-aged man, it announced "Jazz Piano Lessons" being offered by a teacher who specialized in adult students. All but one of the phone number pull tabs had been taken. I had been playing piano off and on since I was a child. And after decades of chording along with various groups, I finally decided I had learned everything I could learn on my own. If I ever wanted to learn to play solo, I needed someone to teach me a new system. When Jim Mulac arrived for my first lesson, I had no idea I was in the presence of a local legend. I didn't know that he had spent a few years as a reporter in the Quad Cities and Muscatine areas. I didn't know that he had spent an intense two years in Chicago studying under the jazz piano guru Alan Swain. I didn't know that his poetry had been featured in "The Actualist Anthology" published in the 1970s on Morty Sklar's The Spirit that Moved Us Press. I didn't know that he once owned a used bookstore that became an intellectual and spiritual center for many alternative poets in town. All I knew was that he was willing to give me lessons at my home and that he charged only $25. And for that first year of lessons, I wasn't even sure I had made the right decision. After all, I also played guitar, so I already understood chord structure. And the exercises in the book we were working through — Swain's "The Four-Way Keyboard System" — seemed to focus on re-teaching me things that I already knew and making me re-learn them from a completely different perspective. "The four-way process," the description on Swain's book explains, "teaches you visual, tactile, aural and intellectual control of chords so that you can be creative with harmony." By the second year — when Jim and I started working up arrangements for tunes like "Autumn Leaves" and "I Remember April" — I realized that I was improving. By the time we got to "Song for My Father" and "My Funny Valentine," I knew that — even if my fingers didn't always make it to exactly the right note — I was learning the chords by ear, by sight and by intuition. And by the time we'd moved on to "Monk's Mood," I started to figure out that Jim and I had much more in common than just music. When I told Jim I was helping to edit the Press-Citizen's literary and art journal, "In Situ," he told me about his experiences co-editing the anthology "Editor's Choice: Literature & Graphics from the U.S. Small Press, 1965-1977." When local historian Joe Michaud sent in a review copy of his "Booking in Iowa," I learned much more about the important role that Jim's bookstore — and the piano he kept in it — played in Iowa City's literary history. The more I learned about Jim, the more our weekly piano lessons drifted away from working through arrangements for "I Thought About You" or "The Night We Called It a Day" and into conversations about the history of the Actualist Poetry Movement. A few months ago, Jim, who was never heavy, started losing a lot of weight very quickly. A few weeks ago, Jim called to say he had "some really bad news." The doctors said he had cancer in his liver, lungs and lymph nodes, and he'd have to "postpone our lessons indefinitely." On June 20, Jim died at age 69. During his last few weeks of life, Jim basically held court from the Cedar Rapids home that he, his wife, Heidi, and his son, Peter, moved into back in 2000. And during my last visit, I playfully asked him, "So, was music distracting you from writing, or was writing distracting you from music." "That's the story of my life," Jim said. "I knew I should focus on one or the other. But I had such a passion for both that I just couldn't decide." Jim seemed to think he was describing a great failure in his life. But I'm confident that Jim's greatest lesson was in showing, by example, the control that comes with learning to keep jazz and poetry in creative harmony with every part of your life. Originally printed June 10, 2012 in the Iowa City Press-Citizen. The final lines of Adam Clay's poem, "Scientific Method," have been haunting me for weeks. "When left alone / long enough," he writes, "the prisoners / began to interrogate themselves." I'm still not exactly sure what the lines mean, but they deftly introduce Clay's new, long-titled collection, "A Hotel Lobby at the Edge of the World" (Milkweed Editions, 2012). And the rest of the poems in the book follow suit in terms of their lack of pretension, their power and their sheer memorablity. In "I'm Pretty Sure That's a Hurdle in the Distance," Clay writes of "A head filled / with vowels in a consonant world." He goes on to complain to his companion/reader that, "I'm fairly sure you could finish / my sentences and make them better." But few people could write a better poetic line than Adam Clay does. At his best, Clay has trained his lines to jump out and demand attention by themselves. And, at times, they refuse to come back — refuse to reassemble into the orderly procession that we would expect from a poem. In his "Sonnet," for example, Clay writes, "I am trying to find a line of tenderness." But he never finds that line — even though he tries out nearly every other type of line he can think of. And in Clay's longer poems — especially in the 20-section long "As Complete as a Thought Can Be" — those insistent, independent, idealistic lines create so much confusion and cacophony that readers may find themselves suddenly afraid of tripping over those verbal hurdles in the distance. But Clay finds a way to make those periods of cluelessness part of the poetry itself. "Not for a lack / of understanding," Clay writes, "but for a lack / of understanding / maps, I found myself / lost in the / big city." Clay, in fact, manages to invent a new genre in this collection: The "Poem in Place of a Fractured Sonnet." Starting with in a frozen riverside scene in which he remembers the river alive with movement and fish back in August, Clay's narrator considers all the grand, glacial metaphors he could draw from the natural beauty around him. But the poem ends, not with a haunting meditation on how the site has changed over thousands of years of wind and weather, but with with the poet suggesting, "I could take you to the place / where I had my hair cut each month for five years." Clay's poems are like finally coming to terms with the impossibility of things ever adding up. They're like a "Self-Portrait with House Slippers and Tap Water." They're like "A Thought Before Thought." They're like "A Memory, Forgotten at the End of a Season." But they're exactly the reading material you'd like to have on hand when you find yourself waiting indefinitely at a hotel lobby at the edge of the world.